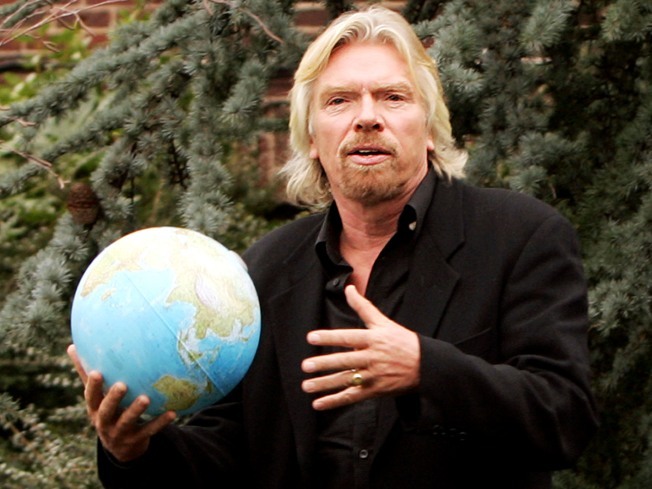 Sir Richard Branson launched The Virgin Earth Challenge, a prize of $25 million for whoever can demonstrate to the judges' satisfaction a commercially viable design which results in the removal of anthropogenic, atmospheric greenhouse gases from the Earth's atmosphere. Bi-coastal and in the Bay Area? Now there's another airline to take you across the country. San francisco-based Virgin America Airlines expanded its service today, launching new low-fare service to Fort Lauderdale with a special send-off flight Wednesday morning. There will be two daily nonstop flights each from SFO and from Los Angeles. Cross-country flights are not new for Virgin. The airline has flights that appeal to California business travelers -- to New York, Washington and Boston. But, why would Californians travel almost 3,000 miles for a tropical-weather vacation when Hawaii is almost in their backyards? A tough one to answer, but the airline is betting the low fares with top amenities will pay off. If they are successful in the new routes, Virgin will expand to include flights to Florida from its bases in the Northeast. But Richard Branson's baby will face some stiff competition from JetBlue, which also began nonstop flights from SFO to Florida this week. Travelers on the inaugural flight from SFO to Ft. Lauderdale were greeted with a lavish ceremony, some bubbly and an appearance by Branson.